Many British women won’t take a drug that could prevent the development breast cancer over side effects concerns, a study says. Researchers from the University of Leeds in the UKpublished the findings Monday in the journal Clinical Breast Cancer. Researchers recruited 408 women to participate in the study, finding that 72 percent of the women they studied feared the long-term effects of tamoxifen and 57 percent thought it would cause negative side effects. Further research discovered that almost 30 percent of women believed doctors prescribed excessive amounts of medicines. 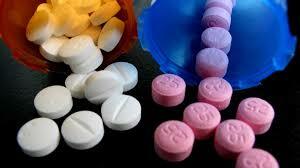 Nearly 25 percent of the women had bad reactions to prescription drugs. More than 13 percent of the women studied had some concern that prescription drugs were addictive, while about 6 percent thought all drugs are poison and over 3 percent said prescription drugs could do more harm than good. Also, almost 24 percent of the women thought that people who take medication should take a break at some point. And the women in the study showed no demographic differences. “It is important to determine whether preventive therapies can create or exacerbate existing inequalities in breast cancer outcomes. We have previously shown within this cohort that there are no sociodemographic differences in tamoxifen uptake,” the study read. Over 35 percent of the women thought doctors would prescribe fewer drugs if they spent more time with patients and 17 percent viewed natural remedies as safer alternatives to medicine. Additionally, a follow-up questionnaire found that less than 15 percent were taking tamoxifen.